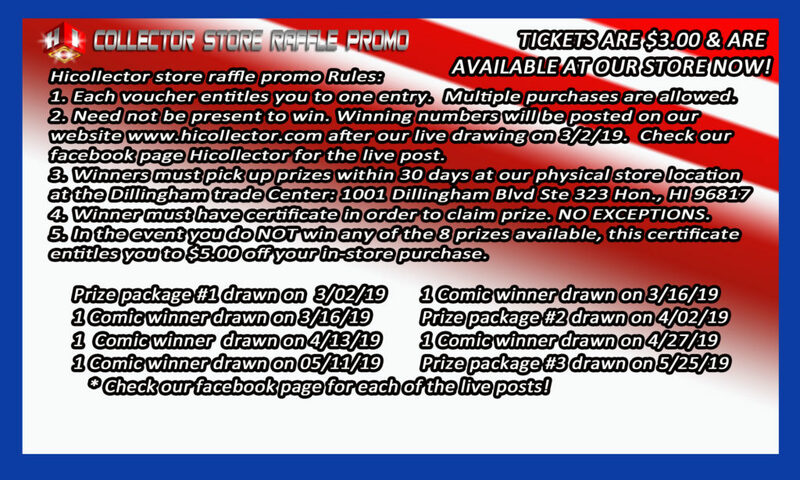 www.hicollector.com – Specialists in all things collectibles – from comics and sportscards to Action Figures and Barbies! Here at Hicollector we pride ourselves in identifying and distributing both vintage and modern collectibles. Contact us today! 1001 Dillingham Blvd Ste 323, Honolulu, Hi 96817 until 5/25/19! 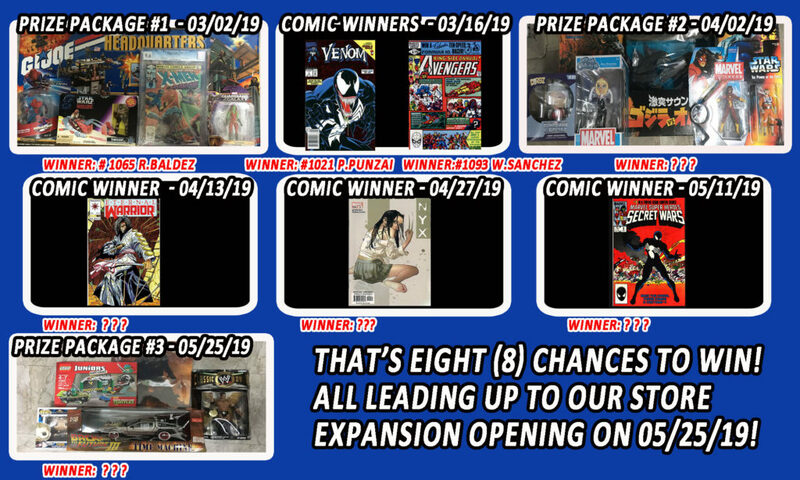 Plus – In addition to the prizes, the ticket vouchers are also equivalent to a $5.00 in store discount! Use them to purchase those long lost memorabilia you have been looking for! 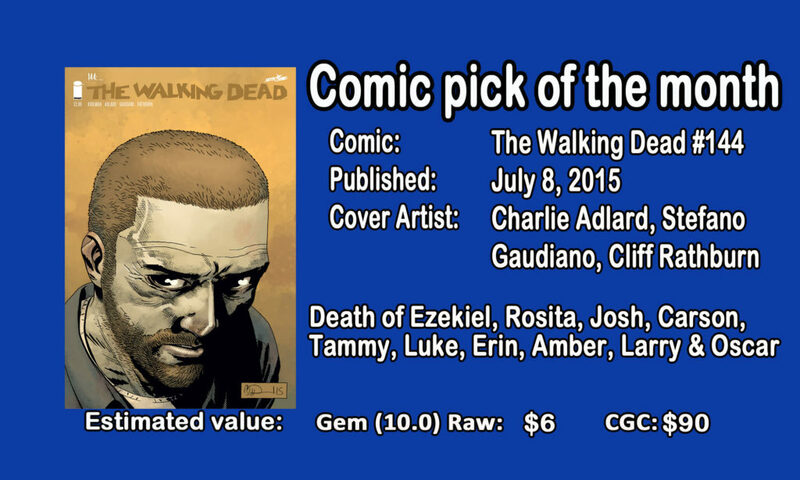 Thanks to the TV show, the comic pick of the month is the Walking Dead #144. Still an inexpensive comic, it is best remembered for the gruesome border scene wherein King Ezekiel, Rosita, and eight other characters were killed. As this is a modern comic, Hicollector suggests you pick it up at a 9.2 or higher.